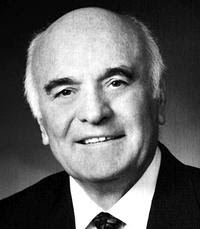 One of President Pacini's Mission Presidents. Our thoughts and prayers are with the Radman family! FOR OUR FORMER MISSIONARIES AND FRIENDS OF ITALY!! Activity: Dinner; please bring a plate of something yummy, (salad, dessert or something easy to make) if possible. We can't wait to see you! Come and have a wonderful time and meet some amazing missionaries who changed Italy!! We will meet in the chapel to meet the new mission presidents and hear news from Elder DeFeo about missionary work, members and progress on the temple. Then we will meet individually with you, we hope to see you there! WE HAVE FOND MEMORIES OF OUR TIME TOGETHER IN ITALY!! WE'D LOVE TO HEAR FROM YOU!! ...Sono entrato parecchie volte al sito della Missione Italiana di Roma, e mi piacerebbe Lei potesse includere qualche informazione su di me, soprattutto il mio indirizzo mail giacché mi piacerebbe rintracciare i vecchi colleghi della missione e tanti cari amici. Come lei sa ho servito tra 2000 e 2002 a Roma 1, Castellammare di Stabia, Roma 3, Roma 2 e Sassari , una volta tornato dalla missione mi sono sposato il 23 maggio 2003 con Graziella Nair Maciel González e abbiamo 2 figli: Ivo Matteo (14/05/04) e Massimo Felipe (12/04/07). Lavoro come coordinatore presso il settore Liceo della Scuola Italiana di Montevideo e copme insegnante di italiano presso il Comitato di Montevideo della Societa Dante Alighieri. Brady Thomas Cash is trying to locate the following missionaries from our mission, if you know how to contact them, please let me know or Brady by clicking on his name. THANKS! Enzo Guariglia was baptized in Salerno and later moved to Milano. I have been in contact with him and he often tells me how much he would love to hear from the missionaries he knew. If there is anyone who remembers Enzo and would like to write or call him, please email me: maryscoresby@gmail.com and I will give you his information. He is getting older (80) and may not be lucid much longer. It would really mean the world to him to know that he is remembered by the missionaries. We saw them in Italy and we see them in our daily lives! "Non possiamo avere un miracolo a meno che noi non lo chiediamo, e non possiamo chiederne uno se non abbiamo fede." "Dubbio e fede non possono coesistere." PLEASE, always PRAY for the work in Italy!! DON'T FORGET to link our website to yours!! 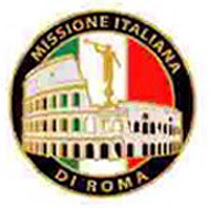 http://www.italyromemission.com GRAZIE!! EMAIL: If you would like to add your email address to our site, just email us at juliepacini@gmail.com (Sorella Pacini) and include your email!